The Library recently reviewed our Reference Collection and we have a number of withdrawn volumes Midd faculty, students, and staff are welcome to take for FREE. All of these have an X over the call number. No X ? – don’t take it. There’s a cart by the Research Desk with FREE travel books and a sample of dictionaries. Many more titles are on the lower level of the library – Please ask where to find these. This entry was posted in libspotlight, LIS Staff Interest, Post for MiddNotes, Post for MiddPoints and tagged Library Spotlight, libspotlight on April 5, 2018 by Brenda Ellis. Can you find this new space in the Davis Family Library? 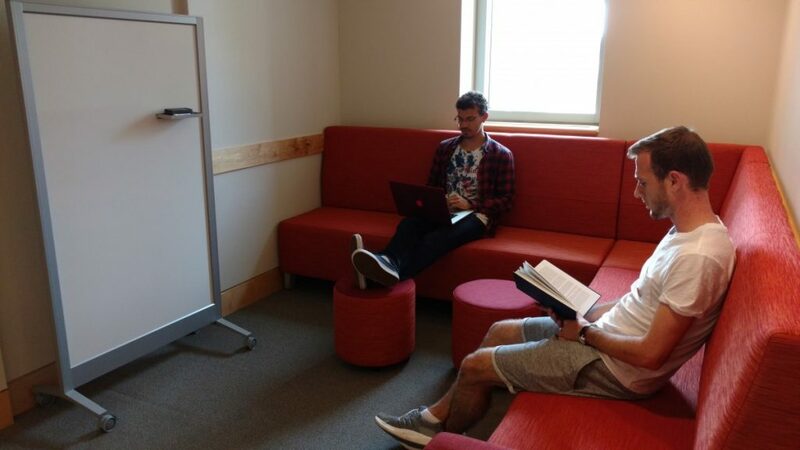 Perfect for comfortably studying with others or for small group collaboration. There is a mobile whiteboard to use for brainstorming, organizing ideas, collaborating with others, etc. Students asked, we acted! This entry was posted in ITS, Library, libspotlight, LIS Staff Interest and tagged Library Spotlight, The Nook on August 3, 2017 by Brenda Ellis. We now have some puzzles for use in the Library. Currently there’s a spot set up behind the Research Desk on the main floor. 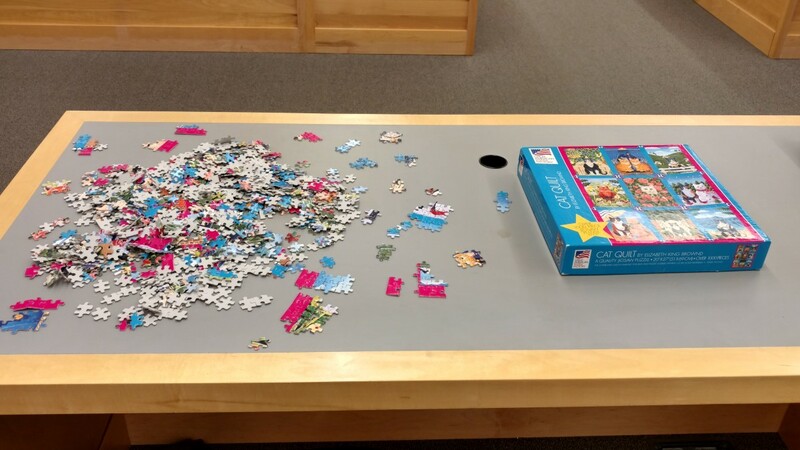 Take a study or office break and put together a few pieces or a whole puzzle. We will leave out several options at a time and rotate what we have. If you want to take one elsewhere in the Library, just stop by the Research desk and ask to see the selection. We will gladly take more puzzle donations (it would be nice to get some featuring foreign places for summer) and we are still looking for donations of GAMES (rubics cubes, monopoly, etc). Just drop your donation at the front Circulation desk. Anything we don’t use will be given away. This entry was posted in libspotlight, LIS Staff Interest, Middlebury Community Interest, Post for MiddNotes, Post for MiddPoints and tagged puzzles on July 3, 2017 by Brenda Ellis. 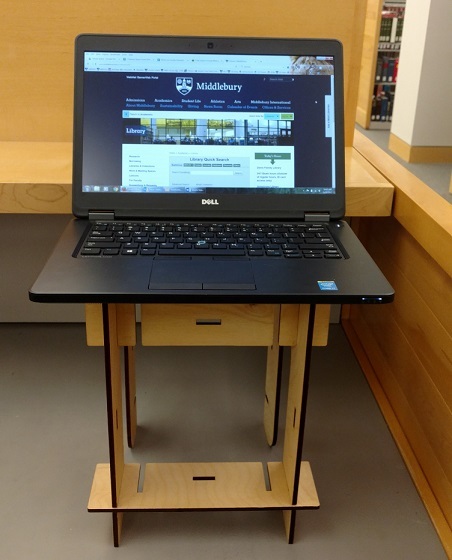 New in the Library: Mobile Standing Desks! 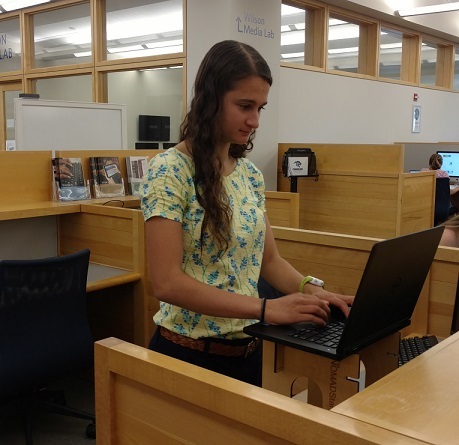 The Davis Family Library now has 3 mobile standing desks. Students can use these anywhere in the library. If one is not in use, just take it to a spot that is the right height for your comfort level. They were designed by Franklin Dean-Farrar in Athletics and made here in Middlebury by Maple Landmark Woodcraft. If these are popular we’ll order more. Students have asked for standing desks, and we listened! This entry was posted in Library, libspotlight, LIS Staff Interest, Post for MiddNotes and tagged Library Spotlight, space team, standing desks on May 19, 2017 by Brenda Ellis. Facilities installed a new ADA-compliant water fountain in the Davis Family Library that is designed to fill water bottles too. The Library Space Team successfully applied for an Environmental Council grant to cover the cost for one. 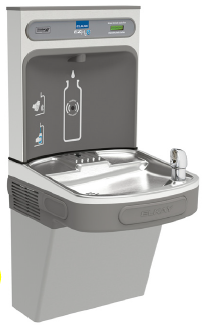 The fountain will calculate the number of disposable plastic bottles that are saved by using it. Next time you are thinking of buying bottled water, think instead about using a refillable container (and thus avoid landfill waste or the energy and financial costs of recycling). It will also be the only ADA-compliant fountain in the Library, so if someone in a wheelchair needs a water fountain, be sure to direct them to this one, which is just opposite the print copy room on the main level. This entry was posted in ITS, libitsblog, Library, libspotlight, LIS Staff Interest, Middlebury Community Interest, Post for MiddNotes, Post for MiddPoints and tagged Davis Family Library, Library Spotlight on March 28, 2017 by Brenda Ellis. This Canadian news site has an interesting article on how and why the U.S. Census Bureau may change the race and ethnicity questions. This entry was posted in Library, LIS Staff Interest, Middlebury Community Interest on November 22, 2015 by Brenda Ellis. See the Library Journal article “Colorado State Library Expands Online Training Site” for information on technology training materials that may be relevant for the Library and ITS. Includes a Technology Proficiency Checklist for the really basics skills and instructional materials that would be helpful if ITS ever offers a basic computing class for staff. This entry was posted in ITS, Library, LIS Staff Interest, lisblog and tagged training on August 4, 2015 by Brenda Ellis. 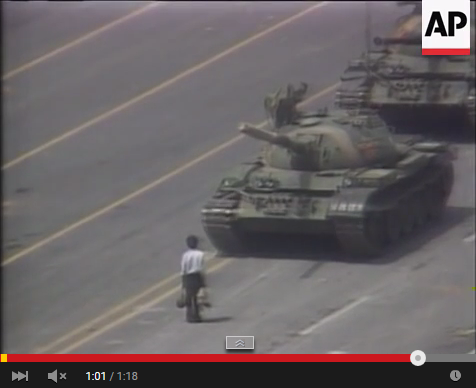 The Associated Press archive dates back to 1895 with new footage added daily. British Movietone covers 1895 – 1986. This entry was posted in LIS Staff Interest, lisblog and tagged Library Spotlight on July 31, 2015 by Brenda Ellis.